Everyone wants to have beautiful, healthy, glowing skin, but cosmetic treatments and products are not cheap. Why not try to find the most affordable procedures or use less expensive drugstore products? The answer is simple. You may save yourself hundreds of dollars on that treatment, but in the end, you will likely come out with the same results you went in with. 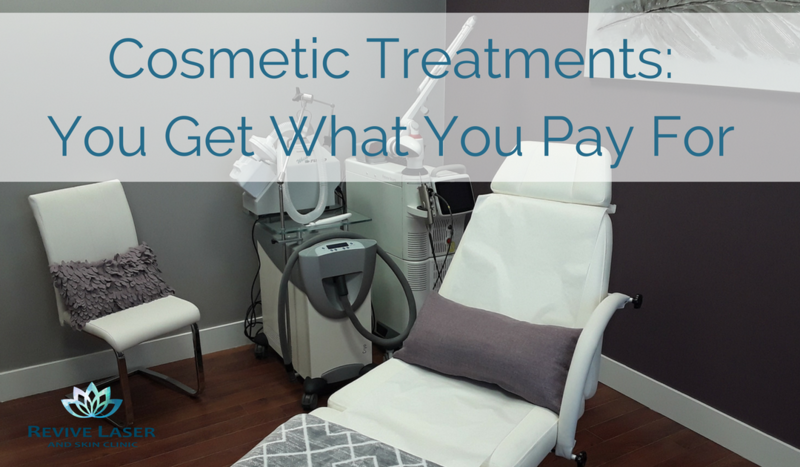 It may only cost you more in the long run, trying out more products and procedures. You then may finally give into spending the money on the effective, but somewhat costlier solutions. So why not go for that cheaper group deal? Just think of it this way, would you want to use a group deal for a surgeon, dentist or lawyer? Probably not, because you are worried that you might get you paid for. Cosmetic laser procedures are no different. Highly discounted services usually mean cheaper equipment, cheaper products and possibly getting a service done by someone with questionable credentials. Business owners will also often spend much less time with the clients who came in with the group deals. They have made little to no profit on the treatments and are trying to squeeze in hundreds of people who have purchased the deals and wanted to book in all at once. You also may not get the treatment that is right for your skin type or condition. In the end, this will cost you more to correct, or possibly even create even more damage than what you went in with. Cutting edge lasers can cost hundreds of thousands of dollars. Any reputable clinic is not going to invest in a device, staff or products that are going to give their clients minimal results. Great results do not come cheap! Highly trained and educated technicians, top of the line equipment and medical-grade products are more costly, but to give you the results you desire, these are the key ingredients to making this happen. Does this mean you will never get a deal with a high-end clinic? Absolutely not. Lots of reputable clinics offer discounted pricing on laser packages and may have a loyalty program which offers rewards on products that you can save hundreds! Do some research before committing to a facility. Check out their website, read their reviews, go for a free consultation and ask what credentials they have and which devices they use. Cosmetic treatments can be costly, but quality treatments that will provide great results are something worth investing in!